You can’t be around Emilie for long without sensing her deep love for children and her absolute belief in the power of Kindermusik, something that led her to begin her Kindermusik business and became a licensed Kindermusik educator in 2010. Lovingly known as “Miss Emmy,” Emilie’s families describe her as patient, kind, fun, and energetic. 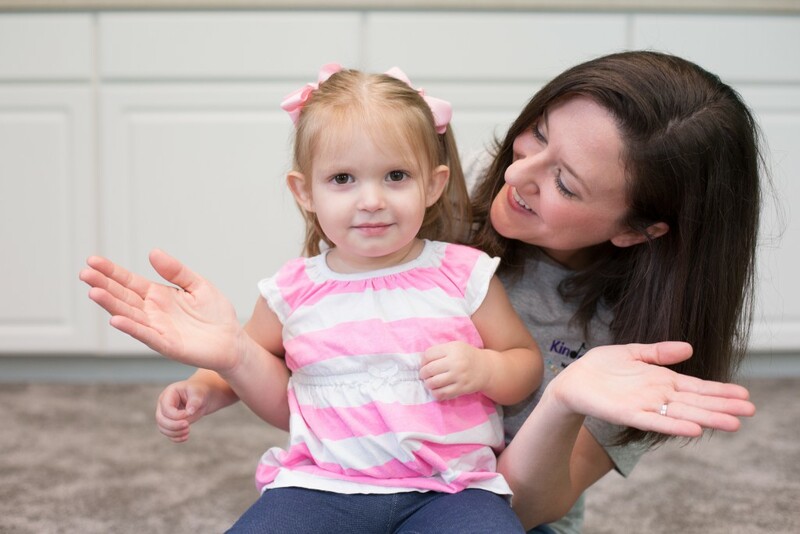 Her enthusiasm for teaching music is absolutely infectious, as evidenced by how Emilie’s Kindermusik program has grown and thrived since she first opened Kindermusik with Emilie. Emilie not only inspires a love of music in the children and families in her program, but she also supports and inspires her Kindermusik colleagues as a member of the SOUND Board, an advisory committee and professional organization for Kindermusik educators. TC: What makes your studio, Kindermusik with Emilie, so special? 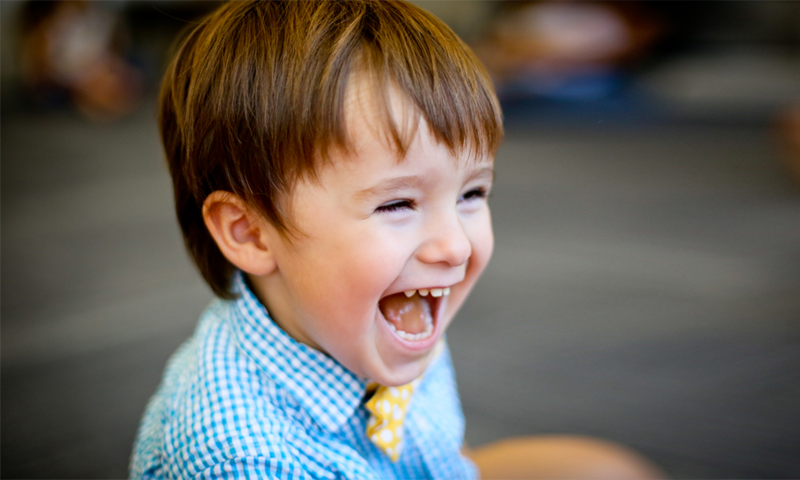 EG: Our studio is bright, cheery, full of laughter and joy, with teachers who genuinely enjoy what they do and love the families in their classes. Love and joy comes through in everything we do at our studio and our families see it and see that our studio is a special place. TC: Every Kindermusik educator seems to have at least one favorite Kindermusik song to sing. What’s your favorite? EG: I would have to say “Love Somebody.” I like to sing it slowly when I’m introducing this song to the families in my class so they can really take time to connect with their little one and it’s usually how I sing it to my own little ones. But it’s also fun to put on the fast, recorded version and dance along as well. EG: Seeing the growth and transformation in children from week to week. Oftentimes a child will come in very shy, hesitant, and unsure and within just a couple of weeks (sometimes sooner even!) they are running into the classroom eager and excited to be there. Also, seeing the joy on parent’s faces as they see the change and growth in their child. There’s nothing better. EG: I know it sounds cliché’ but for me, success in the classroom comes from me being in the moment. I try not to think too much about what’s coming next in the lesson plan and just completely enjoying what’s happening in that moment and noticing the “little things” that are going on. Being in the moment allows me to truly focus on my families and being well prepared allows me to be in the moment and not stress about what’s coming next. TC: What’s one of the most touching things that’s ever happened to you as a Kindermusik teacher? EG: I could share many individual stories here as well, but what has been the most touching that I’ve been able to witness is watching the kindness of our families. Each year in February we collect hundreds of new pairs of socks for a women and children’s shelter in our city and in the spring we do a food drive and collect non-perishable food items for a homeless shelter. I’ve also had families donate money to help pay for Kindermusik classes for families who otherwise couldn’t afford it. Our families are some of the most kind and generous people I’ve ever met. TC: You’ve mentioned having a special Kindermusik family that really impacted you as a teacher. Can you share a little more about them? EG: I have many Kindermusik families who are special to me and have become like family, but one family that will always have a special place in my heart is a family who was one of my first families ever enrolled in my program 7 years ago. They enrolled in a Village class when the little boy was 15 months old and last May he was in my first ever Young Child graduating class. He’s the first child to go all the way through my program and graduate and he and his family are some of my biggest fans. And now his younger brother is enrolled in my YC class this fall! EG: I would say being willing to try different things to find what works best for our studio and thinking big. If you name it, we’ve probably done it and if it worked we’re still doing it but if it didn’t we’ve moved on quickly. Nowhere does it say that you have to keep doing the same old, same old. If it works, fantastic! If it doesn’t, it’s time to move on and find what does. TC: What are some of the goals you have for your studio business? 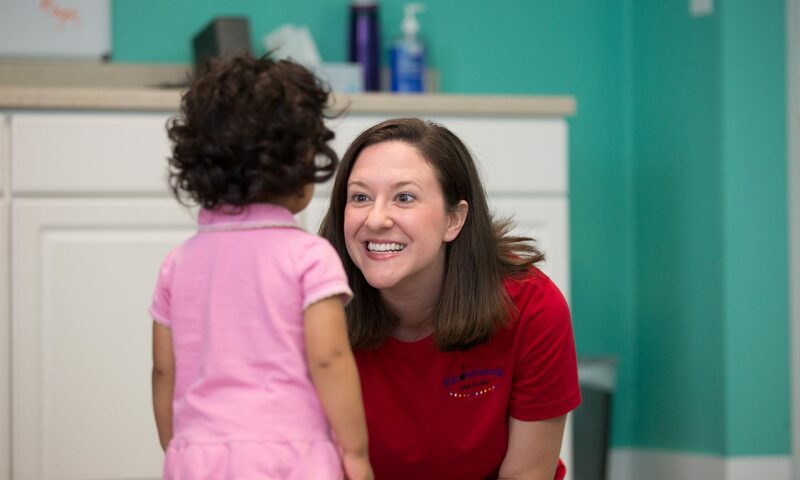 EG: My goals for my business would be to continue to grow to reach more and more families in our community with the specialness that is Kindermusik. I also want our studio to become a place that our community sees as the “go-to” place for early childhood learning. We’re getting there! EG: After renting classroom space for the past 7 years, an amazing opportunity presented itself and on July 24th we purchased a beautiful, 5,000 square foot building for our Kindermusik Studio! We now have 2 Kindermusik classrooms, a coat and shoe room, a waiting room, an office, a playroom, smaller rooms for private voice and instrument lessons, a full basement for storage as well as a kitchen! Our Grand Opening at our new studio was September 11th and we are LOVING our new space! I am so grateful for God’s provision in giving us this amazing building. This will allow us to offer so much more for our Kindermusik families and community, from private music lessons to Kindermusik birthday parties to much more in the future. The possibilities are endless! EG: Know your value and don’t apologize for it. When I was first starting out I would practically apologize for what I was charging for classes. I was nervous people couldn’t/wouldn’t pay what I needed and I was nervous to talk about tuition costs. That changed one day when a parent overheard me talking with another parent who was trying out the class. She sent me an email later that day listing child-related activities in our area and what they were charging. She pointed out that we were right on track for and told me to be confident in talking to parents about costs because our classes were worth it. That was life-changing for me. TC: I think I already know the answer to this one, but what are some of your hobbies? EG: I used to have lots of hobbies but to be honest, the last year especially has been focused on my family and my business. After 12 years of marriage, God blessed my husband and I with our daughter who we adopted in January of this year. She just turned 1 in August and she is the sweetest little blessing you will ever meet. Then on August 1st, we welcomed into our home a little baby boy who we are fostering. Life with a 1-year-old and 2-month old is both exhausting and rewarding all at the same time, and while running a business and being a Mama to two little ones definitely has its challenges, I wouldn’t trade my life for anything. Shared by Theresa Case who has loved bringing children and families together for over 20 years now in her award-winning Kindermusik program at Piano Central Studios in beautiful upstate South Carolina.